Have you ever heard of a Pinterest VA? Did you know you could hand off the tedious task of keeping up with your pinning to someone who knows the ins and outs of the platform and loves to pin? You have an amazing blog with amazing content but you just aren’t getting the traffic that you would like. Your e-commerce store has awesome products but sales have been meh. The travel website you run has unbelievable trips to incredible places but you haven’t been booking as much as you know you should be. 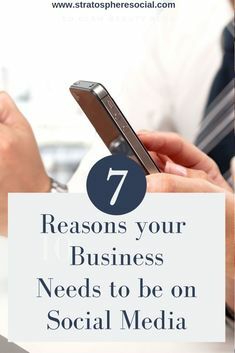 If you are a small business owner, blogger, or online entrepreneur and you don’t currently have a Pinterest strategy in place then you are leaving a ton of leads, traffic and INCOME on the table. 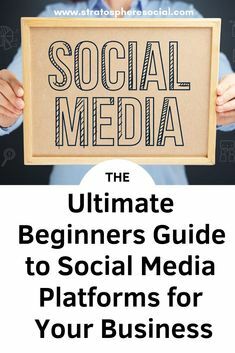 Everyone refers to Pinterest as a social media platform but in reality it is just a huge search engine that has incredible traffic driving power! Men have seen a 50% growth in the last year. Average time spent on the platform is 15 min or more. People that use Pinterest on the daily have 10% more disposable income than people who don’t. You’ve heard all about the traffic generating power of Pinterest but you just can’t seem to find the time to learn what it takes to master the Pinterest algorithm (those damn algorithms!). You are running a business! Between your inbox, invoicing, website management etc… finding time to be pinning all the pins is impossible. Unless you never sleep. or see your family. or eat. Knowing when and what to outsource is the backbone of growing a successful business and that’s exactly what you are doing right? Letting someone take over who has already invested all the time in learning the ins and outs of the platform is just smart business. 2. You spend a ton of time pinning but its getting you nowhere. There are a bunch of things that you have to take into consideration when developing a Pinterest strategy for your business. You can’t just post pics of your products or funny memes and harness the traffic driving power of Pinterest. You need to understand things like Pinterest SEO, optimal times to post, group board utilization, Tailwind, Tribes, and more. It is time consuming and costly to learn everything you need to know. Even if you already pin your blog posts and join group boards it may not be enough. Maybe you just really don’t enjoy being on Pinterest. You know the power of it and you do the right things but you just can’t stand spending the time on the actual platform, or designing the pins, or finding the groups boards. If this sounds like you then it is definitely time to hand the Pinterest reigns to someone who loves the platform and enjoys pinning all day everyday. Now you can spend time doing what you love, whatever that it. Writing blog posts, developing new products, accounting. Your time is yours once again. Doesn’t that sound brilliant? So are you ready to work with a Pinterest VA? Luckily, you don’t have to look further then right here because you have found a Pinterest VA that totally wants to do the work for you! (it’s me BTW). I will help you and your business grow by getting more eyes on your content and helping to drive sales. Also, I will save you time and stress by taking over the tasks that you just don’t want to be doing. I know what its like to have to do something you don’t want to do even though its vital to your business (accounting I’m looking at you). I love Pinterest and would love to work with YOU and help you get the traffic and sales that your business deserves! I definitely need a VA! Every time I think I’m going to pin I end up falling asleep! And I know how valuable it would be in getting my wellness and healthy living tips out to people who need it! Pinterest would definitely be amazing for your health and wellness tips! I know its the first place I go to find new blog posts on the topic. I’ve heard of a regular VA but not just for Pinterest. I need to look into it even more, one could be really helpful. I have failed to master Pinterest mostly due to lack of time and understanding the ropes. You are right, it is high time I hired a Pinterest VA.